Registered Coach and Children’s Coach for the British Birankai and qualified in first aid. He has been training for over 25 years and trained for 10 years in Judo before this. 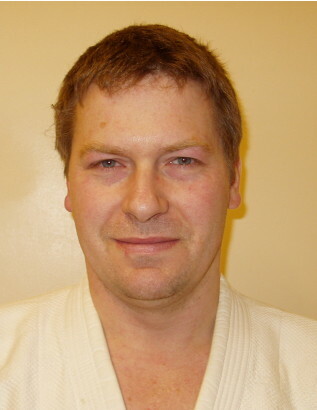 He has been training in Aikido for more than 10 years under sensei Ian Grubb at Mei Jyu Kan. The British Birankai (formerly British Aikikai ) was born out of the natural evolution of events in the development of Aikido in the United Kingdom. 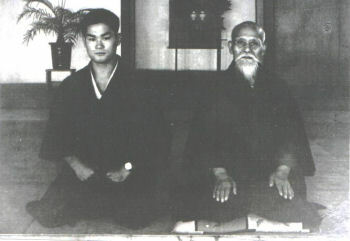 TK Chiba Shihan commenced his Aikido training in 1958 as an uchideshi (live-in student) of Morihei Ueshiba, the founder of Aikido, at the Hombu Dojo in Tokyo. He studied with the Founder intensively for seven years and in 1966 he was assigned to Great Britain to form its first national Aikikai organization, the Aikikai of Great Britain. The assignment of Chiba Shihan followed the return to Japan in 1964 of Professor Kenshiro Abbe, one of the pioneers of Aikido in the UK who spent ten years in Britain and founded the British Aikido Council. During the ten years Chiba Shihan spent in the UK, he also helped to promote Aikido in Belgium, France, Greece, Ireland, Italy, Holland, Morocco, Spain and Switzerland. In 1970 he was promoted to 6th Dan and awarded the title ‘Shihan’, Master Instructor. Chiba Shihan returned to Japan in 1976 and on the invitation of the United States Aikido Federation (USAF), he moved to San Diego in 1981 where he formed the San Diego Aikikai and where the Western region of the USAF began operation. He was promoted to 8th Dan in 1994. The Aikikai of Great Britain underwent many changes and was renamed the British Aikido Federation when Chiba Shihan returned to Japan in 1976. In 1987 after ten years of struggle the United Kingdom Aikikai (UKA) was formed under the guidance of Chiba Shihan out of the British Aikido Federation. Following Chiba Shihan’s resignation from the UKA a group of his senior students came together to form the British Aikikai with Chiba Shihan as its Technical Director in 1995. The BA was initially affiliated directly to the USAF Western Region (www.usafwr.org) and in 1999 became an independent organization. In 2000 Chiba Shihan formally founded Birankai International as a non-profit educational organization dedicated to the growth of Aikido and to bring together all his students throughout the world under one umbrella. In December 2005 the Aikido World Headquarters in Tokyo, Japan officially recognized Birankai International. Further information on the website www.birankai.org. From January 2006 the British Aikikai was renamed British Birankai in line with the guidelines set out by Birankai International. British Birankai was given official recognition by Aikido World Headquarters, Tokyo, Japan in April 2006. 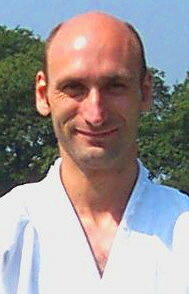 The British Birankai is a member of the British Aikido Board.